We’d like to thank Mark McManus for today’s story. 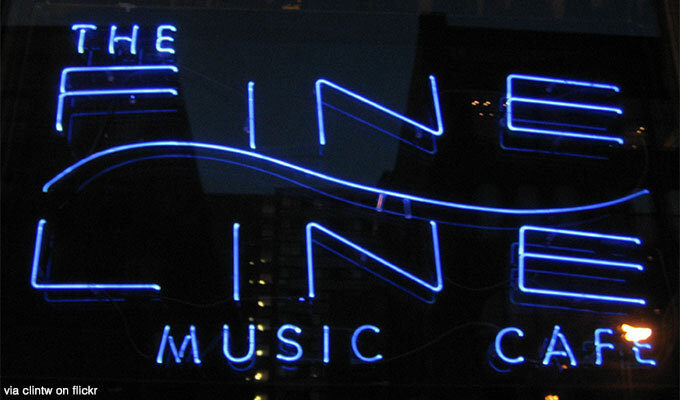 I was working as a doorman at the Fine Line in Minneapolis, on a night when EL Vez was playing, back in the early 90s. I noticed our girl at the ticket booth turn away Bill, his two kids, Ahmad Rashad, and some other sports figure I didn’t recognize. I quickly ran out the door to find out why. “Oh, this girl said I can’t come in here with my kids. They’re not old enough.” Meanwhile, Rashad is going off on how dark the club is. It was night, and he was wearing sunglasses. So not only did I get to do a solid for my favorite celeb of all time, he turns out to be a Class 1 gentleman, to boot. The Goldy part of the story doesn’t really involve Bill. That’s just whose table I gave away.